Look at this great picture! 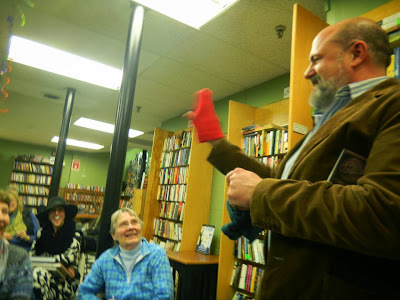 Taken by Helen Peppe at an event the other night at the wonderful Wellesley Books. Huge thanks to Jillian and Kym! 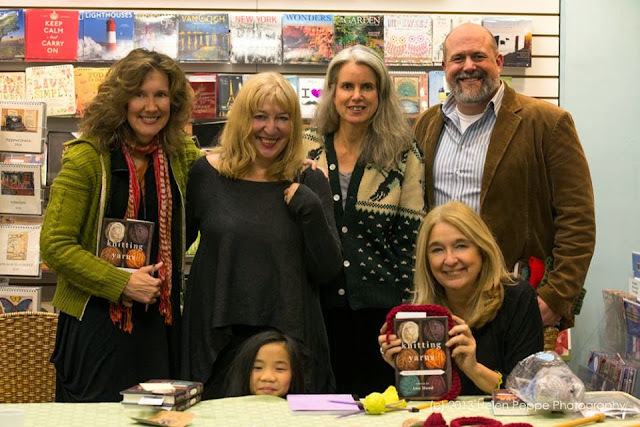 I had the great pleasure to read with this amazing group of contributors, in order Elizabeth Searle, Marianne Leone, Suzanne Strempek Shea, me, and the unstoppable Ann Hood. Peeking over the table is her multi-talented daughter Annabelle, also a knitter! There was a great crowd and much sharing of knitting advice, projects and vocabulary. I learned that frogging is when you have to rip out the work; you say "rip it, rip it, rip it." Handy to know. BOFA was another phrase, but I've already forgotten what that means! And would you believe it? 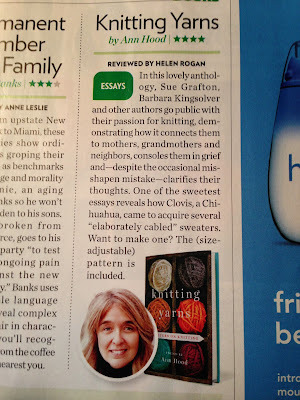 Clovis made People Magazine!! He is a celebrity. No dog deserves it more. 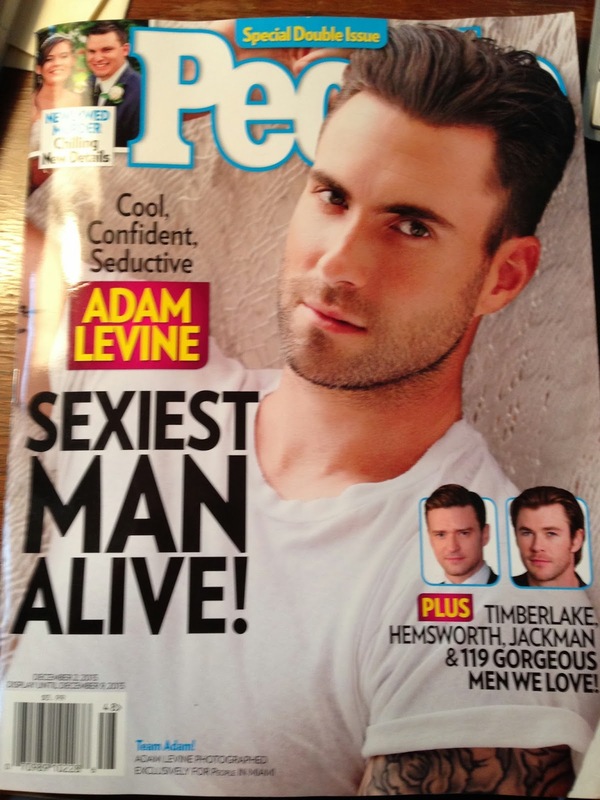 The sexiest man alive is on the cover (?). I'm waiting for the sexiest dog alive. Wait, that doesn't sound right. I love this pic of Mike and Donna Lennon. 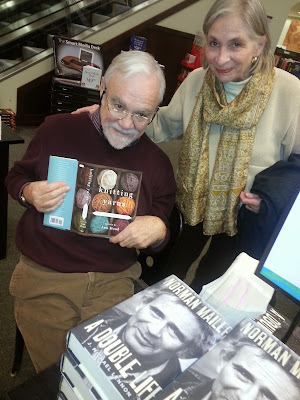 Taking a break from promotions for Mike's great biography of Norman Mailer, A Double Life, to check out Knitting Yarns! Some recents of Little C.